We've got mutants and daredevil's galore. Check 'em out. 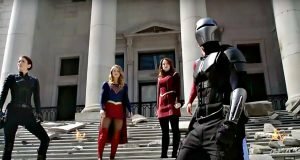 While the dominance of superhero content on the big screen is well known, costumed crime fighters and world savers with 4-color roots are doing just about as well on the small screen as well with the just started 2018-19 tv season featuring as many as 25+ superhero shows available on tv and/or streaming services. But which ones should you the discerning Black Sci-Fi reader invest your time in? Here are this writers Top Ten picks to click*, presented in chronological order by premiere date! 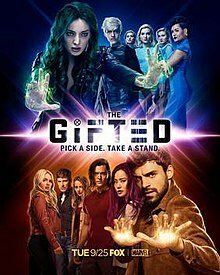 Coming back for season two, The Gifted kicks off things here having just recently premiered. 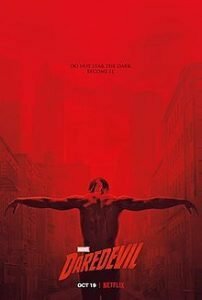 Being loosely connected to the already established X-movie mythos allows just enough room for the show to tap into characters and concepts worth tapping into while branching off into its own distinct world and utilizing the vast catalog of X-characters to introduce interesting takes on characters unlikely to ever get their due in the movies. The addition of Grace Grealy, AKA “Boo Boo Kitty” from Empire, as a new heavy is a notable highlight. While not based on a superhero comic per se, the best way to enjoy The Walking Dead at this point is to adopt the classic rule of enjoying superhero comics- suspension of all disbelief. When you throw out all the rules of logic for the sake of enjoyment and assume that characters like Daryl Dixon, Rick Grimes and Negan are really secretly superpowered mutants you realize that you are really watching a show about the X-Men with Sentinels disguised as zombies. Try it, I guarantee it will totally change your perspective. Word of warning- consider this is a very CW heavy article. Hey, when a network literally has a handful of superhero shows, they deserve notice. But are all of these shows still worth watching? Read on to see. Flash continues to be a winning combination of high-level superheroic action and down to earth drama and the addition of Barry and Iris’ daughter from the future Nora West-Allen is sure to add much more of both. 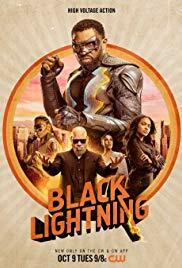 Fresh off a successful debut season that surpassed even the loftiest expectations and arguably stood out as the best of the CW’s superhero crop, Black Lightning is back for more action. 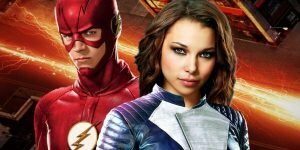 What is really unique about BL is that while it has become a trope at this point for all the CW superhero shows to develop quasi-family dynamics, Black Lightning at its core focuses on an actual family with the titular hero dealing with two very different daughters who have two very different ways of dealing with the gifts (and curse?) their father has passed to them. 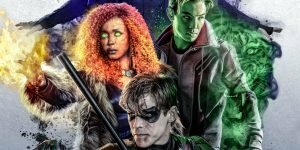 The first original live-action offering on DC’s new streaming service, Titans looks to provide a gritty take on the companies venerable team of iconic young heroes. Based on much of the promotional material released so far, it certainly appears that the creators involved have succeeded in bringing down to Earth what really are at their core larger than life characters. While many have been quick to judge based on just those initial promos, there’s enough promise here to give the show a chance. One of the bright lights of the CW heroverse both figuratively and literally, the adventures of Superman’s older little cousin perhaps does an even better job than Flash does of combining thrilling superheroics with real-world drama. The show is never afraid to touch on weighty issues with just the right touch. That trend continues as the show, which somewhat doubles now as an extended Legion of Superheroes backdoor pilot (remember this when that show inevitably gets added to the mix!) 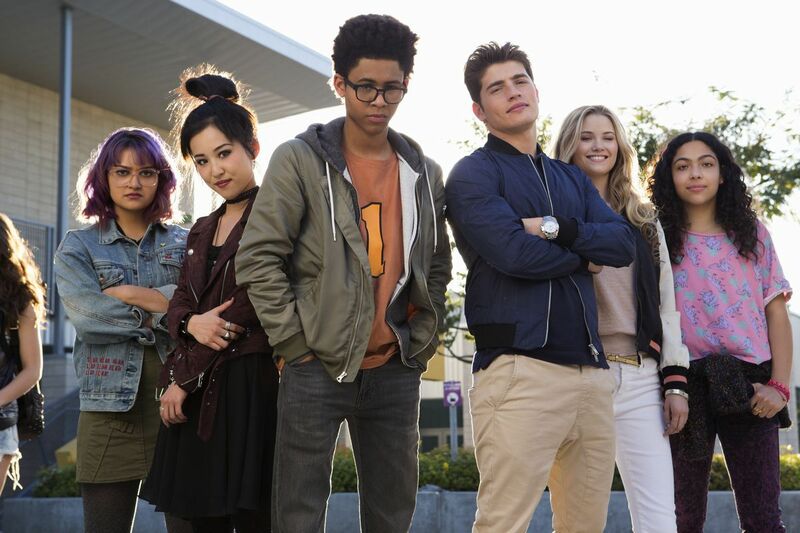 debuts TV’s first transgender superhero in Dreamer. 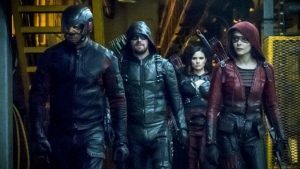 The iffiest selection here, while the original CW superhero trendsetter (folks call it the Arrow-verse for a reason) has seen- in this writer’s opinion- a dip in quality and often veers too dark with too many flashbacks, the wrinkle of Oliver Queen and Team Arrow having to deal with the aftermath of Ollie outing himself as a vigilante- a move that the team was not on board with- is promising enough to stay on board. The core show of Marvel’s Netflix Defenders family of shows, Daredevil is back for season three now that all of the others have gotten their second seasons out of the way (more on this below). With Wilson Fisk released from prison, the central recurring theme of the series returns as our boy Matt Murdock continues to struggle between deciding whether to hide from the world or whether to fully embrace his life as a vigilante. Expected to be based at least in part on the classic “Born Again” comic book storyline, this is an absolute must watch! 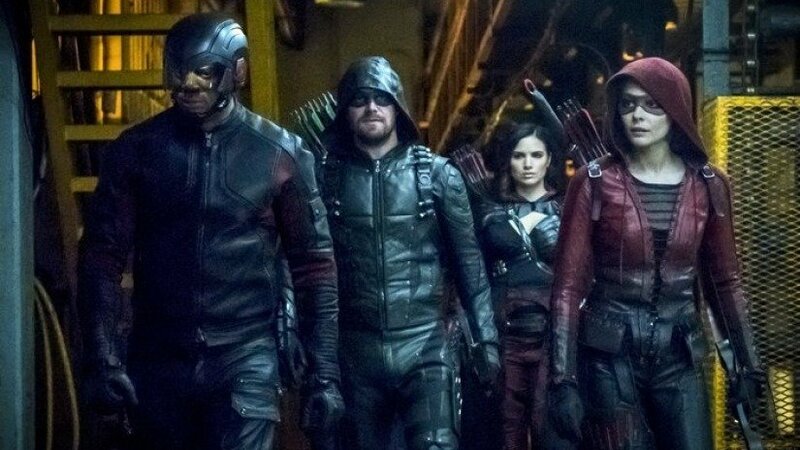 The show that surprisingly pushes Black Lightning for the best of the CW stable, what makes this show about a ragtag group of time traveling heroes no one cares about so good is that it is almost the complete opposite of its now timeslot partner Arrow in not taking itself too seriously. The show fully embraces the ragtag misfit aspect of the characters, allowing the heroes room to screw up and bounce back from those screw ups. Every episode feels like a classic comic book come to life in ways that no other show quite accomplishes, enough so that this history buff is willing to excuse some of the notable gaffes (Ulysses S Grant was not a Lieutenant General during the Siege of Vicksburg). An adaptation of the groundbreaking series originally created by writer Brian K Vaughn and artist Adrian Alphona, Runaways comes back in December for a second season of angst and drama. Following a winning formula, the show is rooted in the established MCU but takes care to not be too firmly grounded in the particulars of the larger goings on of said universe so that it is free to chart its own course. *Note- list only includes shows with confirmed season/streaming premiere dates during the “traditional” 2018-19 TV season as of publication date. Honorable Mentions: Due to the specific somewhat self-imposed rules of this list there are some shows that are certainly worth mentioning with full past seasons that can be streamed right now and are confirmed to be returning for new seasons at some point but do not have (as far as I can see, and I looked) specific confirmed dates for those new seasons- Krypton, Legion, and Lucifer (these arguably stretch the definition of “superhero” shows to varying degrees but then again, see that Walking Dead entry) certainly come to mind as well as the entire Marvel Netflix family of shows (Iron Fist season two was actually a borderline scratch as it’s release was awfully close to the new fall season start- while I’ve heard nothing but good things I haven’t seen the new season yet so I honestly couldn’t justify singling it out here). Agents of S.H.I.E.L.D. is another favorite but from everything I’ve seen it is not returning until summer 2019 with no date locked in- if you are like me and haven’t quite finished up the latest season that leaves plenty of time to catch up. Cloak and Dagger is slated to come back in early 2019 but again, no exact date is confirmed as of now, if you’ve followed along with BlackSci-Fi’s extensive coverage you know that comes well recommended.